MANILA - President Rodrigo Duterte continues to enjoy the trust and approval of most Filipinos even after he declared martial law over Mindanao, a survey released on Monday found. 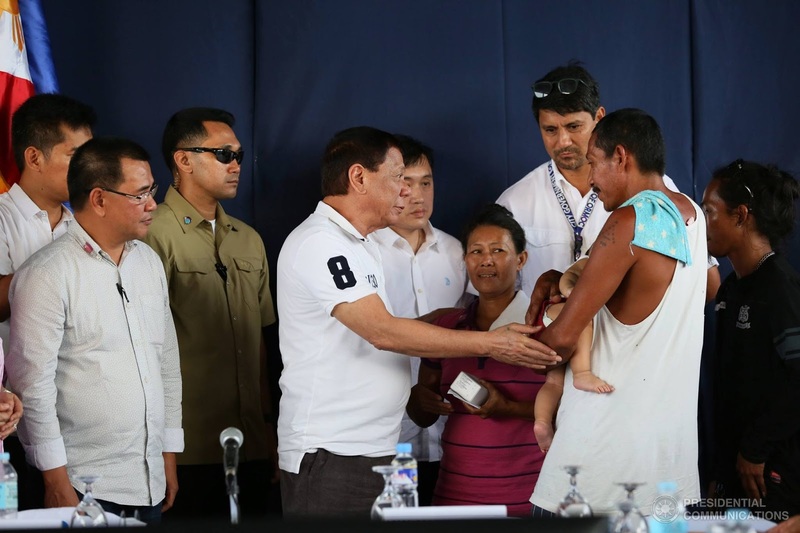 According to the June survey of Pulse Asia, Duterte received an approval rate of 82 percent and a trust rating of 81 percent. His approval rating jumped 4 percent from March 2017's 78, while his disapproval rating dipped 2 points to 5 percent. The 81 percent he notched for his trust rating, meanwhile, was an increase of 5 points from his March 2017 mark of 76. The Pulse Asia poll was taken a month after Duterte declared martial law over Mindanao following clashes in the Islamic city of Marawi, when government troops tried to capture extremist leader Isnilon Hapilon. His declaration was challenged before the Supreme Court, but the high tribunal upheld its legality. This recent poll basically disproves Trillanes' claims that President Duterte's popularity is going down the sink. Apart from Duterte, the survey found that Vice President Leni Robredo and Senate President Aquilino Pimentel III also enjoy majority approval scores. Robredo got 61 percent and Pimentel III got 62 percent. Though both saw a jump in their numbers, House Speaker Pantaleon Alvarez and Chief Justice Maria Lourdes Sereno still fell below the 50-percent mark at 43 percent and 48 percent, respectively. Meanwhile, trust also remains to be the majority sentiment towards Robredo, and Pimentel, who notched 60 percent and 58 percent in the same survey. Some 41 percent said they trusted Alvarez, and another 41 percent were undecided. Fourteen percent said they did not trust the Speaker. Sereno's trust rating increased to 43 from 40 in the last survey. Fifteen percent, meanwhile, said they do not trust the Chief Justice, while 15 percent are ambivalent. Pulse Asia interviewed 1,200 adults from June 24 to 29 for this survey, which has a sampling error margin of +/-3 percent at the national level. Other than the Marawi crisis, around this time, the House had also approved on final reading the administration's tax reform package, and a word war also ensued between the House of Representatives and the judicial branch.